The wedding day is one of the biggest days in a woman’s life. Every girl wants to look perfect on her wedding day. There are many clothing choices, especially for womens clothing on her wedding, but nothing can beat a classic Saree. Saree is one of the most ancient dresses worn by the women in India for ages. In today’s times, a saree is considered one of the classiest looking outfits. Wearing beautiful designer sarees for a wedding is the dream of many girls and we could not agree more. There is nothing that can make a bride look more beautiful than a nicely draped wedding sari adorned with beautiful jewellery. In the past, the Indian wedding sarees were usually bought in red colour. However, with the change in time, there are a variety of sarees available for the brides in the market. At Craftsvilla, we have the widest collection of wedding sarees online. From the classic wedding silk sarees to the chiffon and net sarees, the latest wedding sarees collection at Craftsvilla covers it all. So, if you are a bride to be or someone who is attending a wedding, find your best pick for the fancy sarees for weddings at Craftsvilla. Why Should You Purchase Wedding Sarees Online With Craftsvilla? 1) Latest Styles, Every Week! 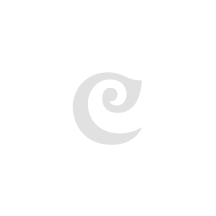 At Craftsvilla, we update our Saree collection on a weekly basis. As a result, our patrons get the best of latest ethnic fashion every time they visit our Website or check our App. Our Saree collection is one of the largest collection online, and some exquisite Wedding Sarees are only, exclusively available on our Website and App. Be it Shaadi or Sangeet, we have Sarees for every wedding function! Ethnic fashion is constantly evolving. Though we keep up with trends, our Wedding Sarees are rooted in tradition. Our Sarees come in traditional hues like Reds, Pinks & Goldens and also in-trend favourite shades like Pastels, Greys & Blacks. We pride ourselves in calling us the go-to fashion destination for a reason. Not only are our collections full of latest styles but are suitable for every kind of budget. No matter how much you want to spend, we will always have something you are looking for! Saree is one of the oldest forms of clothing that was worn by Indian women along with blouses or Designer Blouses. The origin of the saree dates back to the Indus Valley Civilization where the women draped sarees to their bodies. However, during this time, there was no concept of a blouse. With the progression of time, women started wearing sarees with blouses and petticoats. The sari was the major wedding attire in the past. However, with the change in times, lehenga also started being considered as the wedding dress. In southern parts of India, a silk saree is the only wedding attire women consider wearing for their weddings. This culture is now spreading to the north, and more and more women like the concept of wearing Designer Sarees for the wedding party. The sarees were just a piece of long clothing that was wrapped around the body in the ancient times. However, in today’s times, the sarees are available in a variety of colours, designs, and fabrics. With the modernization many new ways to drape a saree have also evolved. At Craftsvilla we have the best collection of the saree style for the wedding. Our designers have incorporated the ancient wedding saree style with the new age designs and brought you the latest saree designs for a wedding. So, go to the Craftsvilla website for all your wedding saree shopping needs. One of the first considerations that we need to keep in mind is the colour of the wedding saree. These are available in a variety of colours. Hence, make sure you pick the one that goes with your skin tone and also with your groom's dresses. There are a lot of fabrics to choose from. The classic Silk Sarees are a popular preference. However, you can also opt for the chiffon or the net sarees with a lot of zari work. There are also fabrics such as cotton and velvet detailing sarees are available on the website. The work on the saree is what actually determines its entire look. So, select the kind of work you want your saree to have. You can select from the stone detailing to the threadwork and zari. There are some other weaving patterns also that you can choose from the options available at Craftsvilla wedding saree collection. The kind of work that you choose for a saree determines its weight. Since you will be wearing the saree for a really long time at your wedding, it is better you buy a saree that is not too heavy to wear. At Craftsvilla, the latest wedding sarees are handpicked and brought to the customers after a rigorous process of selection. Hence, you can be assured that each of these pieces is one of a kind. Our designers make sure that your Indian wedding saree collection with a price to suit your needs are crafted to perfection, and there is no flaw in them. 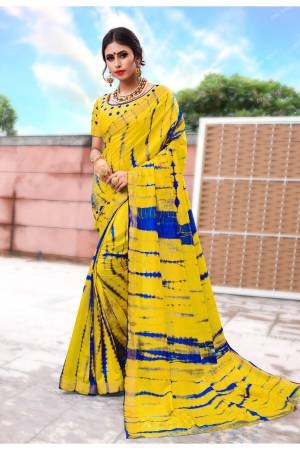 In our collection, you will find a collection of sarees that involve Traditional Sarees for the wedding as well as some wedding reception sarees at great prices. You will also be able to find numerous fabrics such as silk, net, cotton, chiffon and much more to select from. There are also different kind of works done on these wedding sarees that they will not cease to impress you. No matter what your choices are, we can assure you that there is the perfect designer wedding saree with a price that will fit your budget. So, check out this unique collection at Craftsvilla and buy the best ones for you. Shopping for wedding sarees at online websites is always a hassle. Hence, we make sure that the buying process is simplified and smoothened for you. You can get the best of the best designer sarees for a wedding reception with a price that fits your budget on the website. Numerous filters can be used to select the best wedding saree and to get them delivered directly to your home. If you do not like the designer sarees for a wedding with a price that will blow your mind away, we also have a return policy. Our customer care team is very active and makes sure that all your complaints about the wedding sarees and their price are solved. We make sure that shopping at Craftsvilla delivers the smoothest experience for each of our customers.